Deux nouveaux exécutants dans l’équipe du STEP! On October 11, 2011, the Commission des relations du travail published a decision between the Université du Québec à Montréal (UQAM) and the postdoctoral fellows’ union (SPODOC) that confirmed that postdoctoral fellows are indeed employees of the university with regards to the Québec labour laws. This decision was confirmed in appeal on September 19, 2012. From this moment on, it was now official that postdoctoral fellows had the same status as any other employee of any university in Québec, and there were a number of consequences. 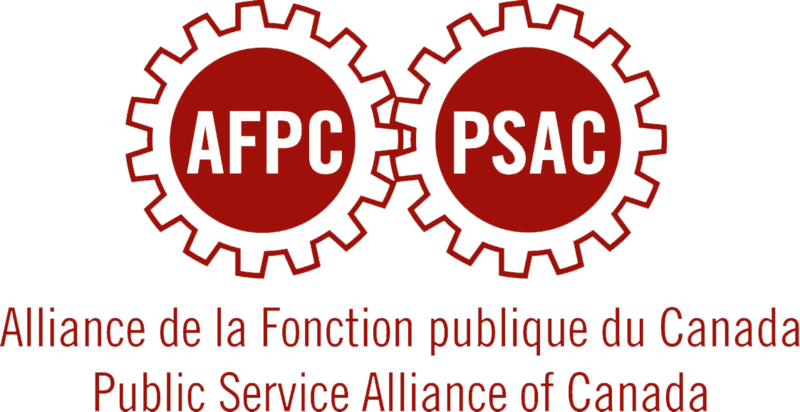 On August 1, 2013, the Commission des relations du travail delivered the unionisation certificate stating that the Public service alliance of Canada (PSAC-AFPC) now represented “All postdoctoral fellows or postdoctoral bursars, employees within the meaning of the Code du travail, registered at Laval University, with the exception of those employees already under another certificate.” The previous unionisation campaign, taking place throughout the summer, revealed a marked interest for grouping up to bargain collectively from the postdoctoral fellows. A large proportion of them had completed membership forms, and thus joined the union. Although postdoctoral fellows make up a separate group within STEP, they were fully integrated in the union’s structures and actions. On October 7, 2013, the first ever postdoctoral fellows’ General Assembly was held. Members took this opportunity to name the problems and preoccupations with regards to their working conditions, as well as electing a bargaining committee that had the assignment to prepare and bargain the first collective agreement. The bargaining committee met a number of time throughout the fall and the following winter and came up with a package of demands for the University. The year 2014 began with a series of meetings with postdocs, organised by the bargaining committee, in order to gather all the details concerning the current working conditions of the postdocs, as well as the main problems they faced. These meetings allowed to further increase the interest for the union, most notably with respect to health and safety issues, parental rights and reducing the arbitrary decision-making of the employer. On January 29, 2014, the University sent an email to all postdoctoral fellows to inform them that their status had changed, that they were now considered employees. It is important to note that this was done unilaterally by the University, they never checked with the union at any point. This made a huge difference for most postdocs, as they now had to pay all the deductions associated with employee status (provincial income tax, RRQ, RQAP, etc.) on top of the federal income tax which they already paid. It is important to note that this had nothing to do with the unionisation. It came as a direct consequence to the UQAM decision from 3 years earlier (see top of page). Also, postdoctoral fellows from outside Canada can have a partial or total exemption from the provincial income tax. Please refer to the HR website for forms and guides. Everyone here at STEP worked very hard to minimise the consequences of this decision from the University on the net income of our members. We met with the employer on January 31, 2014. They sent a second email the week after in order to give additional details and set the record straight concerning the unions responsibility, or lack thereof, in the change of status. Throughout the bargaining process, the union was able to make significant gains on a number of different subjects, including basic wages. To that extent, the change of status was offset by those gains. As the change was effective on February 17, 2014, there were certain changes to the way wages are paid, starting with the February 26, 2014 pay, as from then on postdocs were paid on the «delayed pay schedule», which means that if you work on weeks 1 and 2, you will be paid on week 5, whereas before postdocs were paid on week 3. 26th: Because of the status change, the University did not pay any postdoc wages on this day. However, the employer gave a salary advance equivalent to 60% of the regular paycheque. 26th: Same as March 12th. 9th: Same as March 12th. 23rd and onwards: Postdocs received their regular pay, less all deductions as mentioned above.